At first glance, you may think you are looking at a small-scale variety of a BMW, but after taking a closer inspection you would see you are thinking on the wrong side of the English Channel. 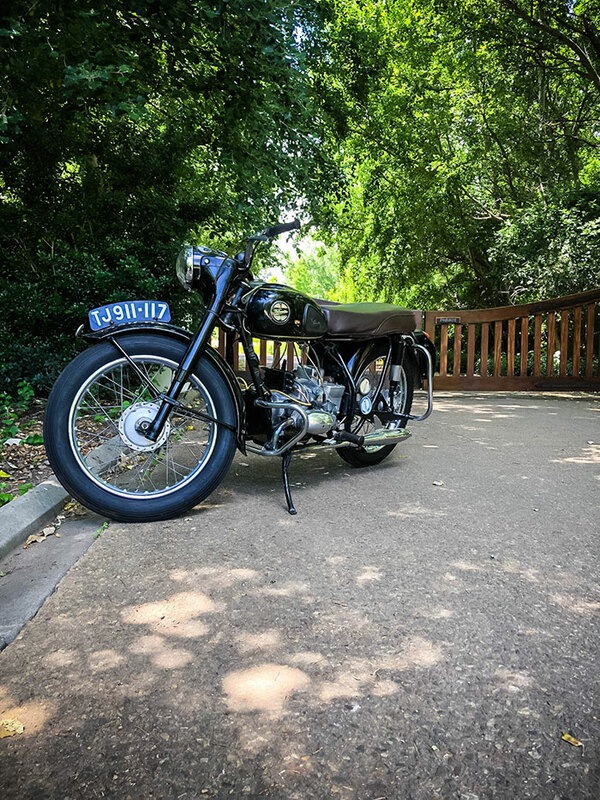 This unusual example of a 200cm3 Velocette Valiant is one of only 1600 produced at the company’s Hall Green factory in Birmingham, England. Born out of necessity for a small, economical commuter motorcycle, the Valiant has its roots in the cheap, simply made 150 cm3 LE Mk1 – LE was the company code for Little Engine. The LEs came into production in 1948 and were aimed at getting the nation’s workforce to work, quickly and cheaply. The LE, with its small water-cooled side-valve boxer engine and basic pressed-steel frame did just that, with the bonus of 100 mpg (2,82 litres/100 km) fuel consumption. Velocette soon had everyone from professionals, blue-collar workers, ‘bobbys’ and even postmen scooting around on their LEs. 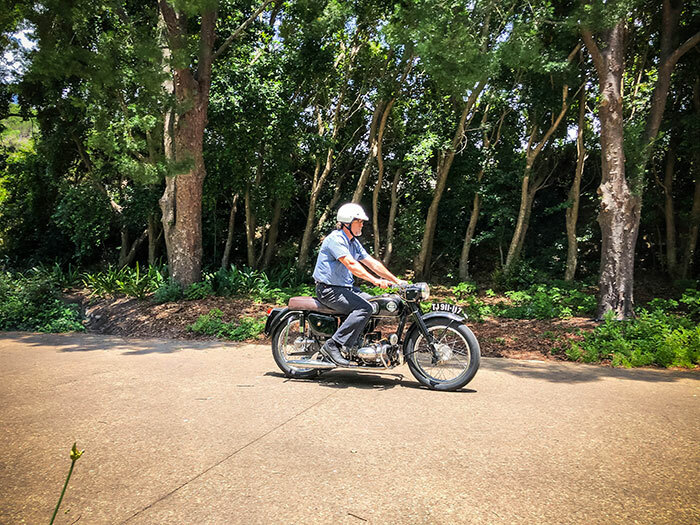 Towards the end of 1951, the humble LE got an engine upgrade and the capacity was increased to 192 cm3 helping to produce a whopping 8 hp (6 kW). 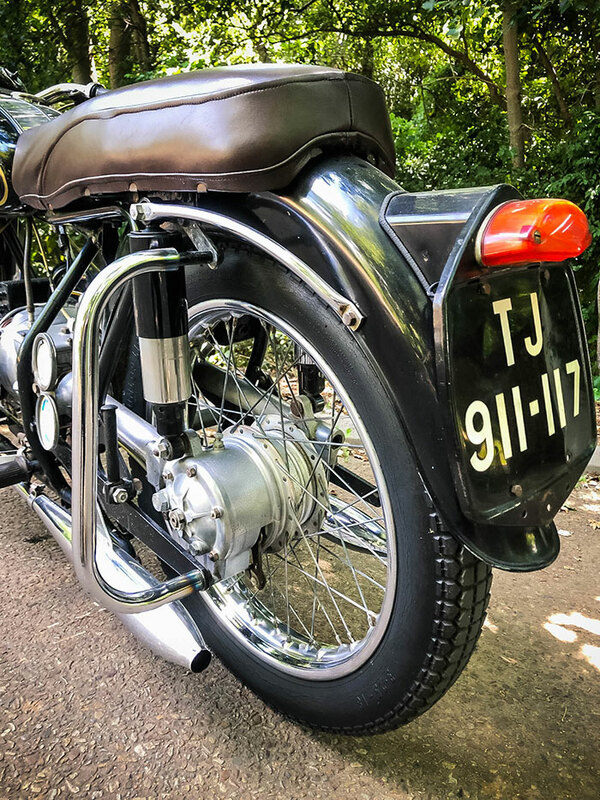 However, by 1956 the need for quicker motorcycles was on the increase and mid-range capacity motorcycles like the Triumph Tiger Cub put pressure on Velocette to come up with their own small-capacity sports bike. 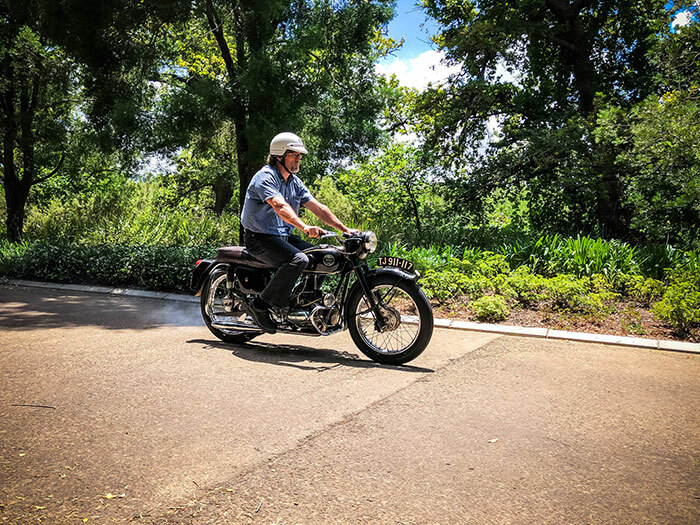 So they obviously turned to the LE and although the motor didn’t have much left to give, the Velocette team managed to upgrade the engine by adopting air cooling, switching to overhead valves, replacing the single carburettor with two Amal ⅝-inch carburettors, and upping the compression ratio from 7,0:1 to 8,5:1. All this helped squeeze another 4 hp from the engine, raising maximum power to 12 hp (9 kW) at 7000 r/min. This new model was to be known as the Valiant and as well as the new engine, other major changes were in the frame. 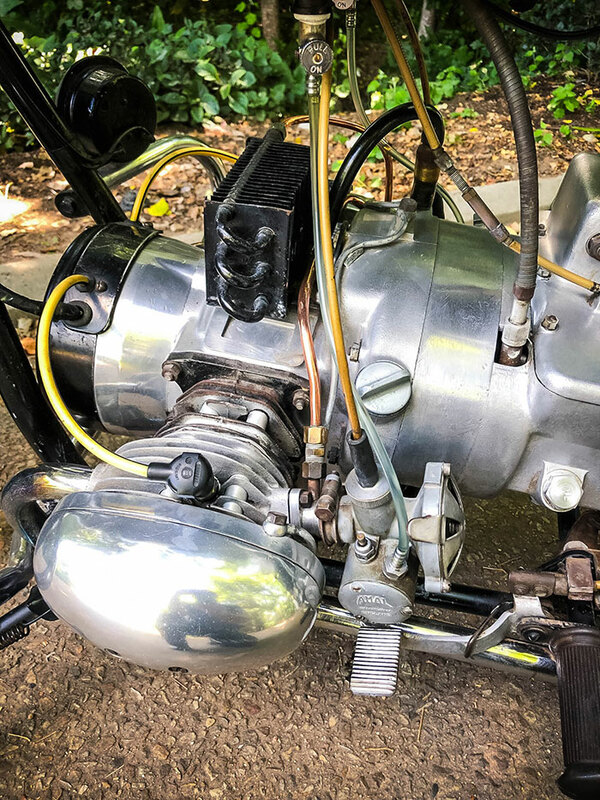 A more recognisable duplex tubular steel construction neatly cradled the motor between the engine and frame, which helped provide a smooth ride with very little vibration. A fourth gear was added to the gearbox and a (right) foot gear change replaced the outdated hand changer, while the LE’s dry clutch and shaft final-drive system were retained. In all honesty, very little of the humble LE remained. Standing on 18-inch wheels gives the Valiant a rather pocket-sized presence. Nevertheless, it was claimed the Valiant could reach a top speed of 70 mph (112 km/h), which was not too bad for a 200 of its day. With telescopic front shocks and swing-arm rear suspension, the Valiant rides rather well. Being small and light makes it nicely balanced and very easy to control, but power is seriously lacking and performance is disappointing as a result. 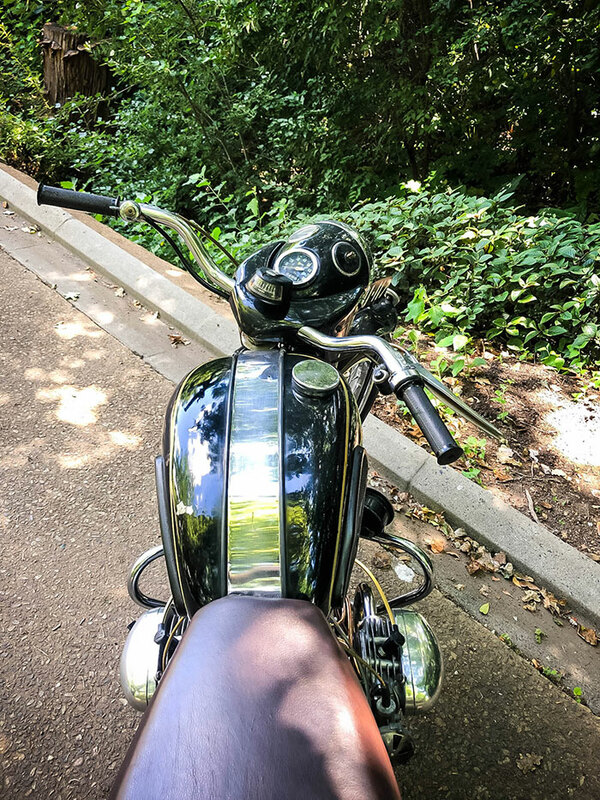 But the most interesting part of this story is the humble little LE that laid the foundation to this Valiant tale, and kept soldiering on in Mk2 and Mk3 guises as Velocette’s entry-level motorcycle right up to 1970, just before the company closed its doors for good in 1971.